Progressive Charlestown: Lose weight, lose your diabetes? Lose weight, lose your diabetes? Now a study published August 2nd in the journal Cell Metabolism reveals that this successful response to weight loss is associated with the early and sustained improvement in the functioning of pancreatic beta cells. This finding challenges the previous paradigm that beta-cell function is irreversibly lost in patients with type 2 diabetes. According to the World Health Organization, diabetes affects approximately 422 million people worldwide. Approximately 90% of cases are type 2 diabetes, a condition in which the body does not produce enough or respond properly to insulin. This hormone, produced by beta cells in the pancreas, helps a sugar called glucose in the blood enter cells in muscle, fat, and liver to be used for energy. 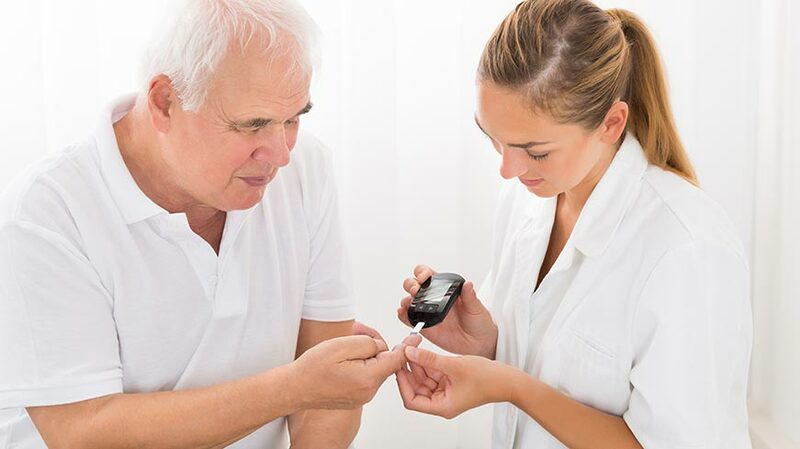 Type 2 diabetes has long been considered a lifelong condition that worsens over time. This traditional view was recently challenged by results from the United-Kingdom-based Diabetes Remission Clinical Trial (DiRECT) overseen by Taylor. The participants, who were diagnosed with type 2 diabetes within 6 years of the start of the study, were randomly assigned to best-practice care (control group) or an intensive primary-care-led weight-management program (intervention group). One year later, 46% of the individuals in the intervention group successfully responded to weight loss in that they recovered and maintained control over blood glucose concentrations. Some non-responders simply had not lost enough weight, but in those who had, it was not clear how their response differed from that of responders. To address this question, Taylor and his collaborators examined potentially relevant metabolic factors, such as liver fat content, pancreatic fat content, blood concentrations of fats called triglycerides, and beta-cell function, in a subset of DiRECT participants, including 64 individuals in the intervention group. They found that responders to the weight loss program were similar to non-responders before the intervention but had a shorter duration of diabetes (2.7 years vs. 3.8 years). Both responders and non-responders had lost comparable amounts of weight, leading to similar reductions in liver fat content, pancreatic fat content, and blood concentrations of triglycerides. However, only the responders demonstrated early and sustained improvement in beta-cell function. In particular, the most striking difference between responders and non-responders was the first-phase insulin response. Pancreatic beta cells secrete insulin in two phases in response to an increase in blood glucose concentration. The first phase, which consists of a brief spike lasting approximately 10 minutes, is typically absent in patients with type 2 diabetes. First-phase insulin secretion increased in responders after weight loss but did not change in non-responders. Taken together, the findings suggest that weight loss normalizes fat metabolism in all individuals with type 2 diabetes, but the more rapid loss of the capacity of beta cells to recover prevents some individuals from returning to a non-diabetic state. However, 98% of the participants were white, so additional studies are needed to assess the generalizability of the results. Moreover, the participants were evaluated for only 12 months of weight maintenance, so longer-term studies are underway. The study was funded by a grant from Diabetes UK. The formula diet was donated by Cambridge Weight Plan. Neither organization had any input into the study design, data analysis, or interpretation. Co-author Naveed Sattar reports grants and personal fees from Boeringer Ingelheim; personal fees from Janssen, Eli Lilly and NovoNordisk; and grants unrelated to the present work from AstraZenica. Senior author Michael Lean reports personal fees from Counterweight and Cambridge Weight Plan, but these fees were not related to the present work.